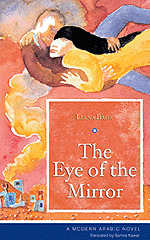 The Eye of the Mirror "Hard Cover"
Taken from the quiet sanctuary of a convent school, where she works as a maid, Aisha is thrown back into the chaotic world of her parents’ home in the Tal Ezza’tar refugee camp when the Lebanese civil war begins. From then on she is caught up in a series of tragedies, including the continuous bombardment of the camp by the Phalangists and the subsequent invasion and massacres within the settlement. Aisha’s family and friends are torn apart by events beyond their control and although she finds love and marries, amid such violence the decision to start her own family becomes harder still. Set within one of the most bloody conflicts of modern times, this powerful story shows how women’s experience of war is particularly cruel as they confront the dilemma of bringing a new life into a war-zone. Turning a simple love story into a complex portrayal of Palestinian history, Liana Badr has triumphantly retold a nation’s history for its women.